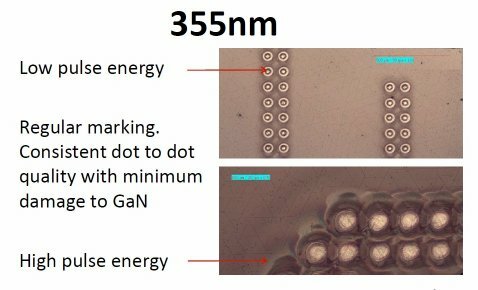 Today’s LED technology relies considerably on the use of Gallium Nitride on Silicone (GaN on Si) wafers. Marking these wafers using diode pumped solid state (DPSS) Nd:YAG lasers has proved a problem, primarily due to the laser source. 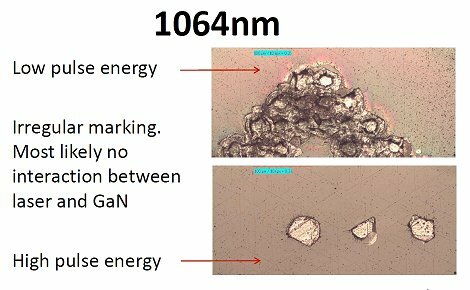 For example, with a 1064 nm infrared laser and even a 532 nm green laser, irregular marking and damage to the GaN layer often occurs. 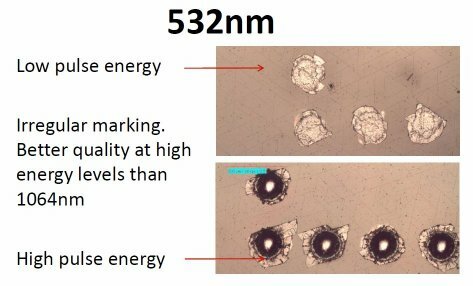 Emitting just 355 nm, ultraviolet has proved to be the solution providing regular marking with consistent dot to dot quality and creating minimum damage to the GaN. The new Innolas IL 1000 LED and Semiconductor Wafer Marking System is available from TLM Laser in a range of different laser types and set-ups, including UV. The IL1000 Series has been developed by Innolas to ensure optimum performance for both material and process requirements. The laser head is axial pumped by high power laser diodes to deliver excellent beam quality and pulse to pulse stability, long durability and low power consumption. Innolas products are available from and fully supported by TLM Laser. One operator training is included and will be carried out at the customer’s facility during installation. Phone support is always available during normal business hours. Spare parts are normally shipped within 24 hours, Monday to Friday. For further details of the Innolas IL 1000 LED and Semiconductor Wafer Marking System and the full range of Innolas high-end laser systems for industry and research, please contact TLM Laser at sales@TLM-laser.com.